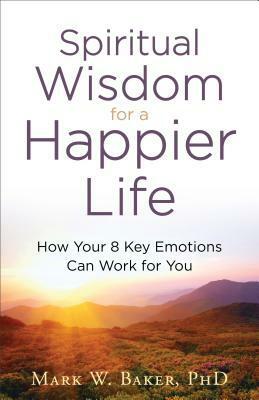 Spiritual Wisdom for a Happier Life: How Your 8 Key Emotions Can Work for You by Mark W. Baker has an expected publication date of October 3rd, 2017 by Fleming H. Revell Company. There are eight basic human emotions that all people experience–hurt, guilt/shame, anger, anxiety, sorrow, fear, happiness, and love. We might believe we make sense of our lives by thinking through our experiences, but neuroscience shows that the part of our brains that processes emotions is many times faster than the part where logic and reason hold sway. It’s the way God created us, but if we do not develop wisdom for handling our feelings, we may find that our emotions continue to get the best of us.Thankfully, the Bible is full of guidance about our emotions. With keen insight into human psychology and a gift for drawing wisdom for life from Scripture, Dr. Mark Baker shows readers how they can find comfort and promote emotional health in their lives. Anyone experiencing distress in their relationships or struggling with overwhelming emotions or even traumatic events will find clear biblical help and healing, leading them to a happier, more fulfilled life. About the author: Mark W. Baker, PhD, has been a clinical psychologist for more than 25 years. The author of the bestselling Jesus–The Greatest Therapist Who Ever Lived, Dr. Baker holds advanced degrees in both theology and clinical psychology, is executive director of the La Vie Counseling Centers in Pasadena, and has a private practice in Santa Monica, California. He is also a frequent speaker on Christian radio and at churches in the Los Angeles area. My thoughts: Dr. Baker has written a book that blends real life challenges with scripture to help equip you with the tools you need to overcome what life throws at you and live a happier life overall. While you cannot control or change your circumstances you can choose how you want to live and thrive. This book is written in a way that is easy to understand with step-by-step guides that are easy to follow but provides outstanding payoffs. A great read for anyone who is struggling with loss or heartbreak.